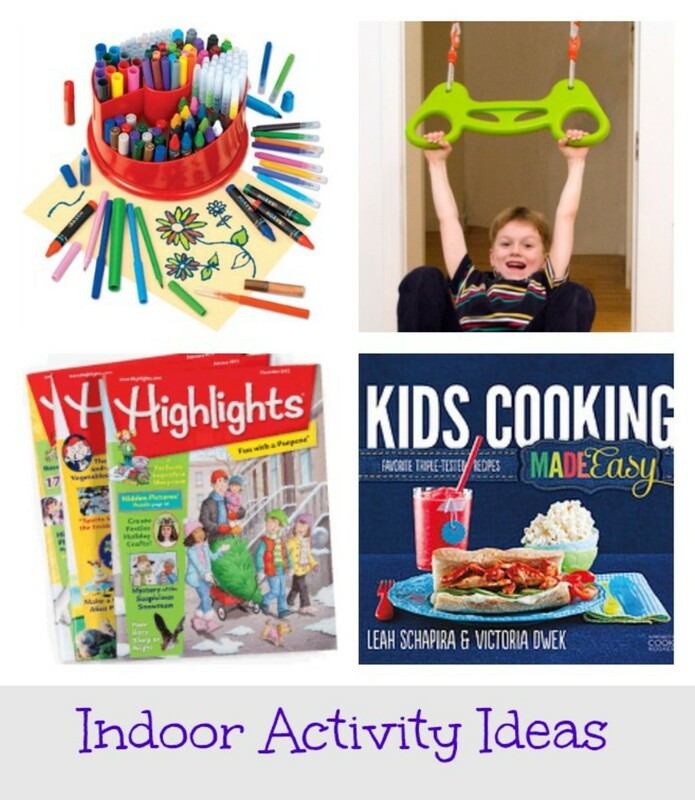 While we are so excited for the downtime that comes with the holidays, it also means that we have to come up with ideas to stay creative and keeping the kids busy while they are out of school. This week we rounded up our favorite ideas to keep the kids busy, happy and active during the upcoming break, and be sure to let us know what some of our favorite winter vacation ideas are in the comments section. 1. Get Cooking: Another fun activity is to get cooking with your kids and we are seeking inspiriation from the new book, Kids Cooking Made Easy where you will discover 60 easy-to-make recipes. Personally, I love how simple the instructions are as well as how they all include step-by-step photos and "Cooking School" tips teach young cooks many new techniques, like how to simmer or sautéfor dishes that are totally sensational. This includes delicious recipes for kid-favorites like Spinach Quesadillas, Pizza Soup, Cauliflower Poppers, Sour Gummy Rugelach, Peanut Butter Pizzelle Cake and much more. 2. Reading Fun: To keep up with your kids&apos; reading and discovery, we suggest a subscription to Highlights where you can find learning tools and magazines for babies through age 9. Some of our favorites are the Hello series for babies and the classic magazine for kids 6-9. 3. Art kits from Lakeshore Learning: We love the fun craft kits from Lakeshore Learning- especially the Art-go-Round and All-in-One Art Studio where kids can create and craft for hours. 4. Gorilla Gym: It gets harder to get out to the park and run around with the cold, but luckily the gym can come to you with the new Gorilla Gym, the world&apos;s smallest and most versatile home gym. Developed by the Velex Corporation, the Gorilla Gym allows you and your kids to swing in the house for $89.00 dollars. It is also super lightweight, easy to put together and doesn&apos;t take a lot of space. They also offer swing, trapeze, climbing rope, ladder, and rings - making it easy to stay active this winter.